Be a mist of the rain. I was writing- so I added more to it. 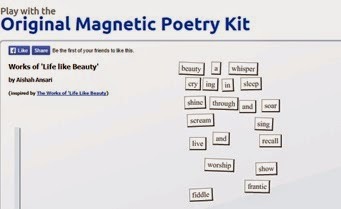 Use magnetic Poetry, random word generators. This is really good. Very inspiring. Thanks Elle! I am glad you enjoyed it! Perfect way to use the magnetic words and give it your own spin! Nice job! Thank you! I couldn't resist adding in my own, haha.